If someone were to ask you to imagine a truly stylish living space, what would you see in your mind's eye? A designer sofa, expensive lighting, pottery or glass accessories or perhaps beautiful but uncomfortable antique chairs? Do you imagine the room to also be comfortable? For some style and comfort aren't always synonymous with each other but in a living space comfort is such a key element in the room. Comfort doesn't necessarily mean oversized furniture with enormous, billowing cushions. Comfort can be in colors, emotions, a general vibe in the space that creates peace or a feeling of warmth. 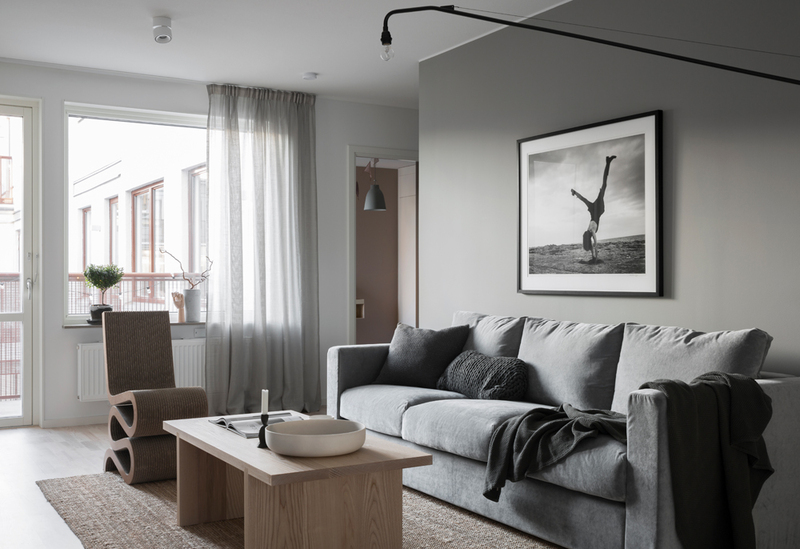 Here are a few examples of living rooms that look appealing and full of style, like the one above from Pella Hedeby, that still retain those elements of comfort that have not been compromised. An interior I featured not too long ago by Hanna Wessman is filled with darker colors and does not spare some feeling of luxury with the oversized artwork which reminds me of some I saw in southern california houses for sale we saw this last summer while on vacation as well as the velvety carpet and daybed. 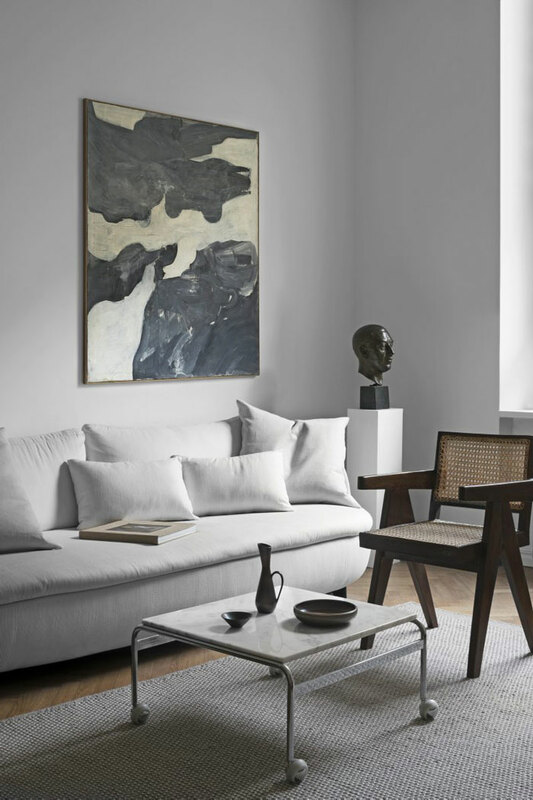 Another living room you might recognize, from Lotta Agaton, features large windows with plenty of natural light and the Dandy sofa with very soft, rounded lines from Mass Productions. The chairs are lounge shape, with their deep slope and inviting with their dark wood finish. A living room from Danielle Siggerud with subtle repeating textile from the walls, pottery and sofa. The colors vary only slightly and the warm tones makes the whole scene feel very soft and cozy. Regardless of your own personal home decor collection, you can create a similar look easily by repeating colors in the same family as well as keeping the space edited and free of clutter. 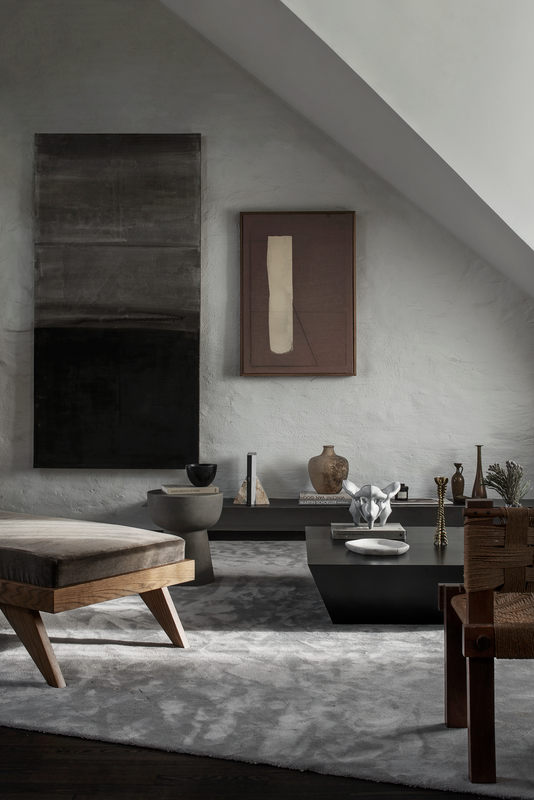 An all time favorite of mine, from the home of Claes Juhlin, the room is anything but lacking style but it also has everything needed to sit and relax in. 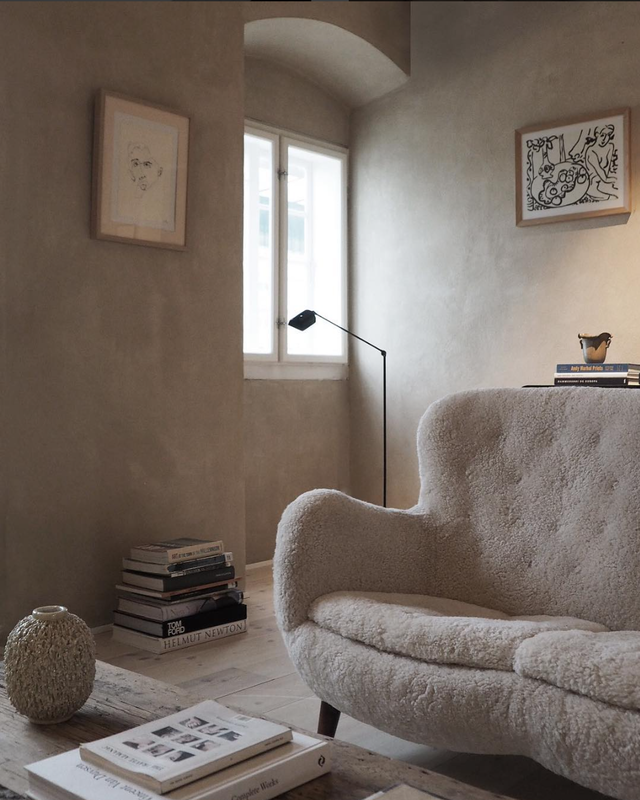 Many cushions do not look overdone in the same fabric as the sofa and marble table with just a few choice items leaves empty space for books, coffee cups and even the remotes!